Whenever we start counting great technologies that have made science look real to human race,sixth sense technology cannot be left behind. As many may think,that this technology work on your sixth sense,but sorry to disappoint you this technology has nothing to do with your sixth sense. 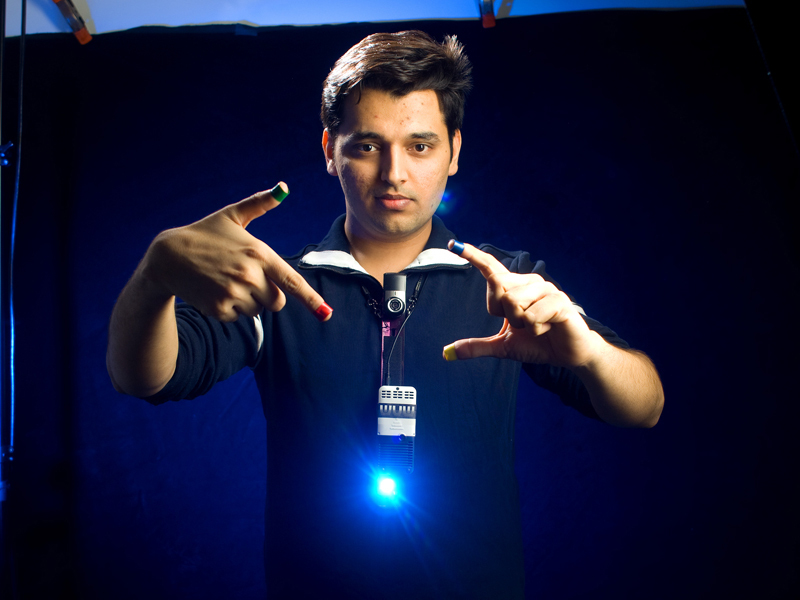 This technology fascinates me because of two reason, First reason to describe it as great technology can be the fact that it is invented by an Indian, and second can be the mere fact that you can can access an information with your bare hands wearing an gesture interface. there is no link between our digital devices and our interactions with the physical world. Information is confined traditionally on paper or digitally on a screen. SixthSense bridges this gap, bringing intangible, digital information out into the tangible world, and allowing us to interact with this information via natural hand gestures. ‘SixthSense’ frees information from its confines by seamlessly integrating it with reality, and thus making the entire world your computer. 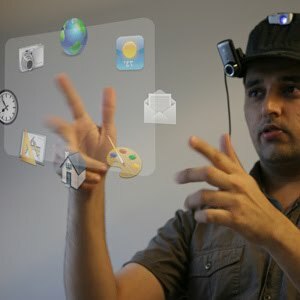 The SixthSense prototype is comprised of a pocket projector, a mirror and a camera. The hardware components are coupled in a pendant like mobile wearable device. Both the projector and the camera are connected to the mobile computing device in the user’s pocket. The projector projects visual information enabling surfaces, walls and physical objects around us to be used as interfaces; while the camera recognizes and tracks user's hand gestures and physical objects using computer-vision based techniques. The software program processes the video stream data captured by the camera and tracks the locations of the colored markers (visual tracking fiducials) at the tip of the user’s fingers using simple computer-vision techniques. The movements and arrangements of these fiducials are interpreted into gestures that act as interaction instructions for the projected application interfaces. The maximum number of tracked fingers is only constrained by the number of unique fiducials, thus SixthSense also supports multi-touch and multi-user interaction.